United States District Court Judge Bernard Friedman of Michigan has dismissed the sexual assault charges which were laid against Indian-American Dr. Jumana Nagarwala for practicing female genital mutilation on 7-year-old girls from Minnesota whose mothers brought them to Metro Detroit last year. Several other charges however, remain in place. “To prove their guilt on this charge, the government must show that defendants transported a minor ‘with intent that (the minor) engage in … any sexual activity for which any person can be charged with a criminal offense.’ … The facts alleged in the indictment do not support this charge because, as a matter of law, FGM, while a prohibited criminal act, is not ‘criminal sexual activity,’” Friedman is quoted saying in his judgment, in a news report carried by Detroit News. 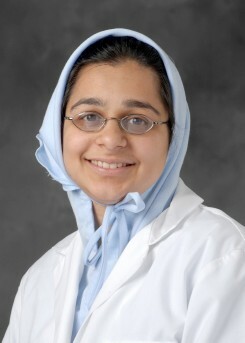 According to CBN News, in early 2017, Nagarwala was the first person to be charged under the United States law criminalizing female genital mutilation as her and at least eight other alleged conspirators are accused of participating in a conspiracy to cut prepubescent girls as part of a religious procedure practiced by some members of the Muslim sect Dawoodi Bohra, based in India, according to EndFGMToday. Prosecutors say the girls were cut but defense lawyers claim the procedure performed on them was benign and not female genital mutilation. “We respect the opinion of the court and are reviewing our options for a potential appeal. Moreover, we stand ready to proceed with the remaining charges against the defendants,” U.S. Attorney’s Office spokeswoman Gina Balaya told The Detroit News. 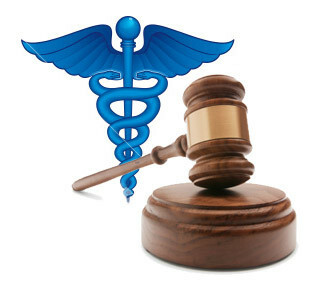 The practice allegedly took place at the clinic of Dr. Fakhruddin Attar, who along with Nagarwala, has been charged with conspiracy, genital mutilation, transporting minors with intent to engage in criminal sexual activity, lying to a federal agent and obstructing an official proceeding. If convicted they face a maximum sentence of life in prison. The judge’s decision to drop Nagarwala’s sexual assault charges is seen as a setback for those who were advocating against FGM. “We are very disappointed and troubled by the Court’s dismissal of Count 6 of the indictment. The Court, in its legalistic scrupulosity, argued that the government offered no convincing argument showing that the phrase ‘sexual activity,’ as used in the federal transportation of minors statute § 2423(a), is synonymous with the phrase ‘sexual conduct,’ as used in § 750.520b(1)(a),” attorney Elizabeth Yore, an international child advocate and the head of the EndFGMToday initiative, is quoted saying in CBN News. She called the court’s decision “mind-numbing” asserting, “We do not agree with the Court’s legalistic jujitsu, which, as a result, leaves young victims who are transported across state lines at great peril to this barbaric procedure. We agree with the government’s argument that the jury should be left to decide this important fact issue,” Yore added. A trial is set for January 2019.